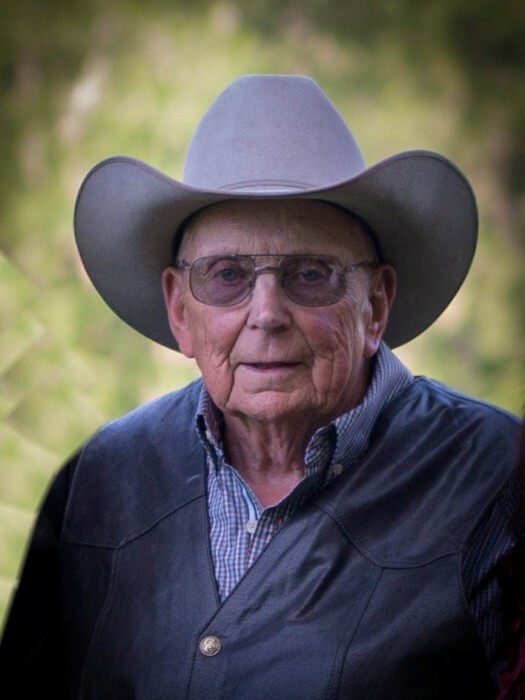 Norland L. Fuller, 89, passed away September 1st, 2018 in Kennewick, WA surrounded by his devoted family. He was born in Chico, Montana on June 25, 1929, the youngest child of James “Floyd” and Susie B. (Rasnick) Fuller. He joined his brother Wayne, and sisters Thelma and Mavis on the Mill Creek family homestead. He attended Montanapolis School on Mill Creek under the lucky guidance of his older sisters who were his teacher. He graduated from Park County High School the class of 1948. Norland remained in Park County and married the beautiful Montana Colleen Lester from Fromberg, Montana in 1955. Norland was a working man, he spent time as ranch hand at the OTO Ranch in the upper Yellowstone, and beginning in 1960, a lineman and then foreman at Park Electric. In 1968, Norland and his family moved to Winthrop, WA where he began work for Okanogan County Electric. He retired as working foreman having been employed for 26 years there. He was proud of his crew’s safety record of being injury-free during his time as foreman. He was also a former member of the Park County Pioneers. Norland was also a family man, he was so devoted to his wife, children, grandchildren, and extended family; he was a loyal friend, a valued employee and a great neighbor. He was also a man of many talents, an avid hunter, fisherman, horseman, a skilled craftsman of log furniture, and a maker of delicious elk summer sausage. He was resilient, witty and had an amazing sense of humor that was evident to everyone that knew him. Norland always had a funny story or the perfect come back to any situation. We are better for being connected to this man who graciously shared his wisdom, skills and laughter. In his retirement years, Norland spent his time enjoying friends and family as well as running his small farm, building lodgepole furniture, and watching for deer with his beloved dog, Rosco. During his last three years, he lived primarily with his family in the Tri Cities where he enjoyed hunting on TV from his easy chair and watching the horses in the back pasture. Norland is survived by his sons, Richard (Becky) Fuller of Kennewick, WA, Floyd “Lester” Fuller of Richland, WA, and his daughter, Norleen Pierson of Burley, WA. His grandchildren that adore him: Susanne (Jose) Diaz, Mike (Theresa) Fuller, Travis Fuller, Tyler Fuller, Erin Pierson, and Taylor Pierson. He also has great-grandchildren that loved to be around their “G.G.”; Sophia, Alex, Henry, and Elias. Norland was preceded in death by his wife, Montana Colleen (Lester) Fuller, siblings, Wayne Fuller, Thelma Johnson, Mavis Johnson, and his parents, Floyd and Susie Fuller. Memorials may be directed to the Chaplaincy Hospice House in Kennewick, WA. A celebration of life is planned at Franzen-Davis Funeral Home in Livingston, MT on Friday, September 14th at 1:00 P.M., with a reception to follow at the Livingston Elks Lodge. A memorial will be held in Winthrop, WA at a later date.